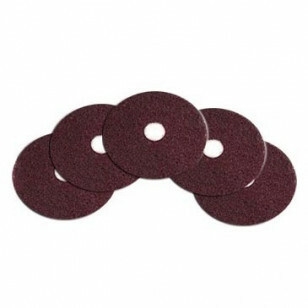 These 17 inch ultra aggressive stripping pads are for use on floors with an extreme wax buildup. This pad will cut away old finish quickly with it's tough, porous construction. Great for use with our 17 inch buffers, and concentrated stripping solutions.